Sons and grandson of HOT founder, Inez Shapiro, carry on her tradition of always putting the customer first. HOT offers a vast array of high-tech services to assist our broad client base with integrated communications and commercial printing. Our core values and business philosophies have been steadfast. We endeavor to bring our clients, associates and vendors integrity, respect, open communication, innovation and flexibility. There is no better customer experience in the industry! 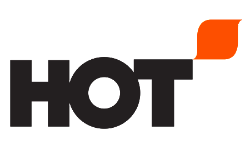 Now under the guidance of our third generation, and together with our experienced, knowledgeable and highly creative team members, HOT constantly strives for meaningful ways to add value to long-term business partnerships. How can we assist you today?